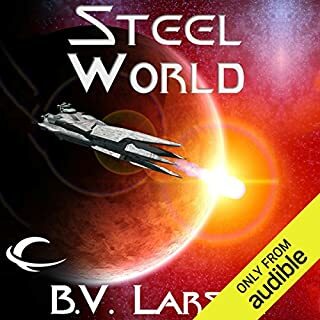 One of my favorite science fiction/space opera series.A well written first person prospective that is refreshingly different to most of the military sci-fi books out there. Also Luke Daniels is on my list of favorite narrators. If anyone else read this series I would be disappointed. Overall, I am left wanting more and wished the next book was already out! The beginning of the book started fine what with a remnant of a previously thought destroyed Lanky settlement resurfacing in Greenland and Andrew taking part in destroying it and discovering an unknown aspect about the Lanky that will complicate further encounters. Then, for the rest of the first half of the story, both Andrew and Halley ended up visiting his Mom and the Chief and then Halley's parents which did nothing the move the story along. Then the rest of the time was spent with them rehashing previous encounters and ruminating on all sorts of stuff that, again, did absolutely nothing to move the story along. 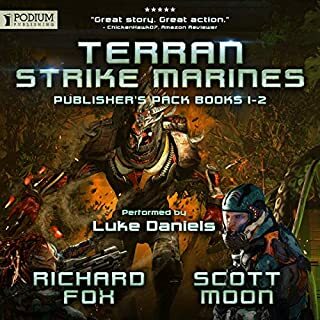 It picked up in the 2nd half of the book where the fight to take back Mars from the Lankies took place and there were interesting encountered, if not predictable. The last part of the story was overly melodramatic and the ending was predictable. Luke Daniels performance was good but was hindered with a sup-par story. It's unclear whether there will be another book to the series but I don't plan to follow the series if so. The time to fight back is finally here. The fifth of book of the Frontlines series brings the story to a turning point for mankind. The first four books have seen humanity dominated by the alien Lankies, losing battle after battle, and abandoning every human planet except for Earth. Even then, the relentless attacks coming from the Lankie inhabited planet of Mars have caused humanity to barely maintain a hold on Earth. With our existence on the brink, the only option left is to go &quot;all in&quot; and launch an offensive to reclaim our solar system. Gathering up the scraps of the space fleet to attack Mars is a desperate play, but there are no other alternatives left. 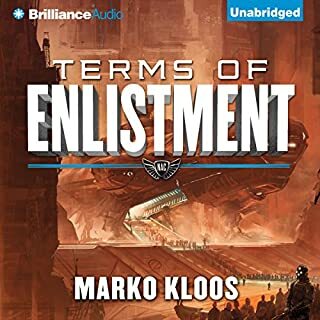 Marko Kloos offers up some more of his straight forward military sci-fi writing as this series continues to gain momentum with each new book. Both the series and the characters have grown on me over time and I must admit that I was excited to see this become available. Following the career of Andrew Grayson wasn't that interesting at first, but now I am invested in him as a character, and his personality makes the overall story arc that much better. Experiencing the massive fight for survival against the Lankies from the perspective of one soldier is turning out to be more entertaining than I initially thought it would be. This was another solid entry in the series and left me eager for the next book. With Luke Daniels narrating the entire series it is real win-win to listen to this. As soon as I hear Luke's voice it transports me back into the fight against the Lankies and makes me ready to do my part to help save mankind. If you have enjoyed the series so far, then don't hesitate to pick this one up. Gave the series a long rest after the fourth book. Just couldn't hack our main character always being at the center of things, no matter how implausible. Though that continues, it's not as outlandish to me in as in book four. That said, the book is pretty dull. Lots of big battles, but I was not engaged. Seems like the series can safely end at this point. That would be the best thing. Luke Daniels could make the phone book interesting. This was the best yet in the series. First off I love this series. It has been surprising and delighting me right from the start. And while I still love the series and think this was a highly enjoyable book, it just fell a bit short of the greatness of the previous ones...and I'm not quite sure why that is. What's crazy is this is the type of story I've been anticipating since the very first book. Finally a book where the focal point in on the war with the aliens. I've expected this out of every book, and yet each time Marko weaves a tale that while touching on the war with the aliens also centers on much more broader issues, human interactions, human foes, where yes the aliens are a danger, but so much more is going on. In Fields of Fire we have a pretty much straight up action/war book. It's well told, exciting and fast paced, and yet it as much as I enjoyed it and wanted it to go on, I also thought it lacked just a hint of what elevated the previous volumes. Don't get me wrong, I still think it's better than most of the other stuff out there and I can't wait for the next volume. Seriously, this complaint is like saying I'm mad because my usual hot fudge sundae only had 2 cherries on top instead of three. It's still a heck of a ride, and one I will no doubt enjoy again during the long wait for book 6. As always, Luke Daniels delivers a spectacular narration. He's definitely one of the best in the business and I always look forward to listening to him. love this series! please let there be another. The narrator does an amazing job of capturing the MC's identity and personality. awesome story! I've been waiting for these books one after another. they're​ so well written and suspenseful. I can't wait for the next in the series. 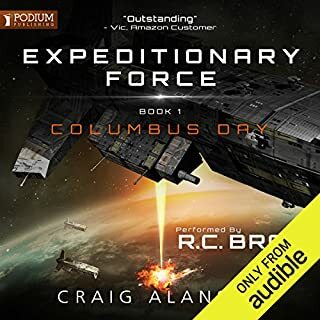 I cannot believe I've devoured this audio book so quickly. You will be on the edge listening to (the amazing) Luke Daniels deliver this latest story of Andrew on Mars. Very well done. 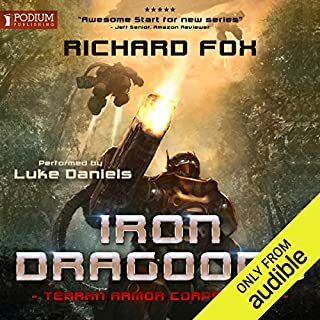 Great listening really enjoy it, thanks Amazon, will be buying next audiobook very soon still have other one to get through yet. Loved the witty performance and writing, emotional punches and developing story. Its the prefect military sci-fi book. Excellent next installment. 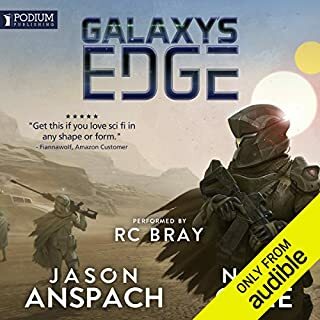 Cannot wait for the nexth sixth part to come out to audible! This book is a great addition to the series, Marko delivers a consistently good story line with all the thrills of combat while maintaining a human touch throughout. I look forward to the next instalment and the eventual triumph of earth. The Lankies are on Mars, terraforming it to suit their requirements, which means that the already established human settlers will die. With a rebuilt fleet and new (barely) trained troopers, it's time to mount a rescue attack and remove Lankey threat from the solar system. As seasoned officers, Andrew and Halley will be part of the offensive, apart, and each hoping for the other's survival. Frontlines is a marvellous and innovative series, which has charted Andrew's life from the relatively carefree days of recruitment and training, through first contact with the seemingly unstoppable Lankies in far space, to the aliens threatening Earth itself from the Red Planet. Each character is powerfully portrayed, especially Andrew, through who's eyes we not only see and are immersed in the action but also experience his hopes, fears and terrors. Narrator Luke Daniels is Andrew. His pleasant to hear voice conveys all of the emotions, subdued but all the more powerful because of it. His voicing of the other protagonists is distinctive, fitting their origins and personalities With his reading, an already excellent story becomes fully alive. And frighteningly real. Only one criticism: it will be a long wait until the next book. great services and can't wait for the next book! great services and can't wait for the next book! The narrator was excellent and the depth of character is believable. I Can't wait, Hope book 6 comes out in audio soon. Luke is an excellent narrator. 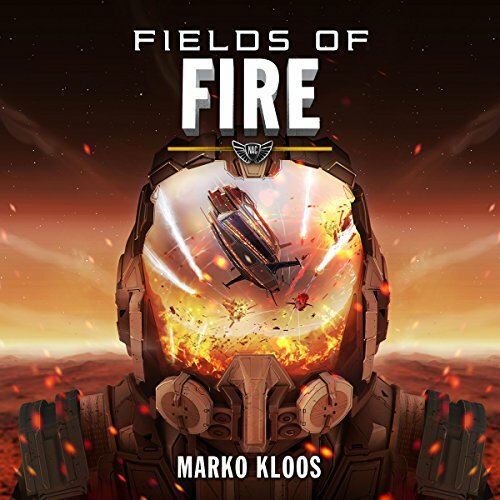 Would you listen to Fields of Fire again? Why? Possibly, if I had nothing else to do. I have read the first four in the series and liked them. This one however, seemed a bit thin. The main character comes of a little whiny in this book. Could do better, I can see the author wishes to leave us on a to be continued edge, but in my option fails to finish the book he was on. Let’s say a six out of ten for the ending. This is a good narrator who bring the pages to life. No, it is just a book. Not a bad book, worth a listen.